All relevant information to help you prepare for your trip to the Gaeltacht. Click here to download a checklist to help you pack for your trip to Corca Dhuibhne. Students will travel at their own expense. All details concerning travel will be issued approximately two weeks before the commencement of each course. We would appreciate information on any health problems which a student may have. Advice given to us will be followed. A Doctor is available at all times but the College will not be responsible for the cost of prescriptions or hospitalisation. Parents will be invoiced for doctor’s fees. We would appreciate that your child has information regarding medical card/health insurance details to cover costs the student may incur during his/her stay in the Gaeltacht. It is our policy that the use of mobile phones be limited to one hour per day, in the evening. There is a three-day confiscation rule for any student using a phone outside of allotted time. We request that all cameras and recording devices be covered prior to arrival, in keeping with Child Protection Guidelines. Second phones are completely prohibited. In the case that a second phone is found on your person it will be confiscated for the duration of the course. Should your child need to contact home outside of the allocated hour, they can do so through the Principal/Bean an Tí. We would appreciate your full co-operation on this matter. Bicycles are not recommended, however, they are not restricted. A helmet is necessary with bicycle. Students are advised not to bring bicycles by train to Tralee. There is no facility on the bus for transportation of bicycle to the Centre. Students wishing to bring bicycles to Corca Dhuibhne must do so privately or by Courier. Bicycles are not permitted at Coláiste Íde. These items are strictly forbidden. Pocket money is a personal matter. There is a small shop in each centre where students may purchase drinks and snacks. 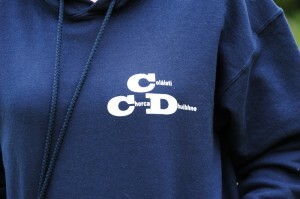 Coláistí Chorca Dhuibhne hoodies are also available for purchase. Students travelling by public transport should ensure that they have enough to cover the cost of their return ticket. Bean an Tí will wash the student’s clothes for the duration of their stay at the College. Students staying at Coláiste Íde will avail of a launderette facility free of charge. Please ensure your child had a machine friendly laundry bag. Parents/Guardians/Families are welcome to visit on Sunday’s, generally after 11am. Written notice must be given to the college before 4pm on Friday if you are due to visit your child at the weekend. Students are encouraged to bring musical instruments during the course. All course refunds are at the discretion of Coláistí Chorca Dhuibhne Teo. Coláistí Chorca Dhuibhne reserve the right to refuse any application and cannot guarantee accommodation of preference. Any damage cause in your accommodation, or on the college grounds will be charged accordingly. *This will include staining caused by cosmetic products to bedding and towels. All students must follow instructions received from course personnel. All students must return to their houses from the céilí at the appointed time and are not permitted to leave thereafter. This also applies to students taken out for the day or part of the day by Parents/Guardians. Students must comply with the rules of the road while walking. Please ensure your child brings a high visibility jacket. The use of mobile phones will be restricted to one hour after dinner each evening.